Young gentleman + a studio apartment? A Bachelor’s Pad! That’s certainly our immediate impression when we first took on this project. The goal: To create a stylish man cave. 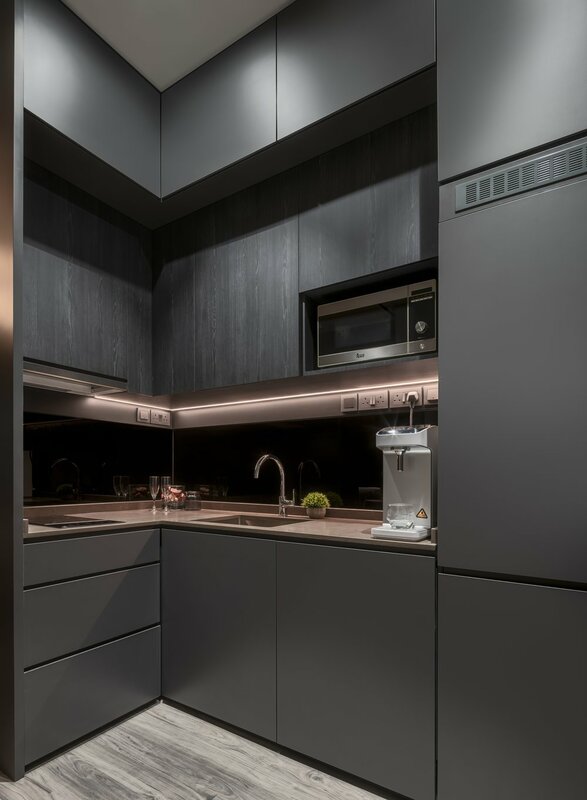 A complete makeover was given to this 430 square feet studio apartment using primarily shades of blacks and grey to create a darker cosy ambiance. 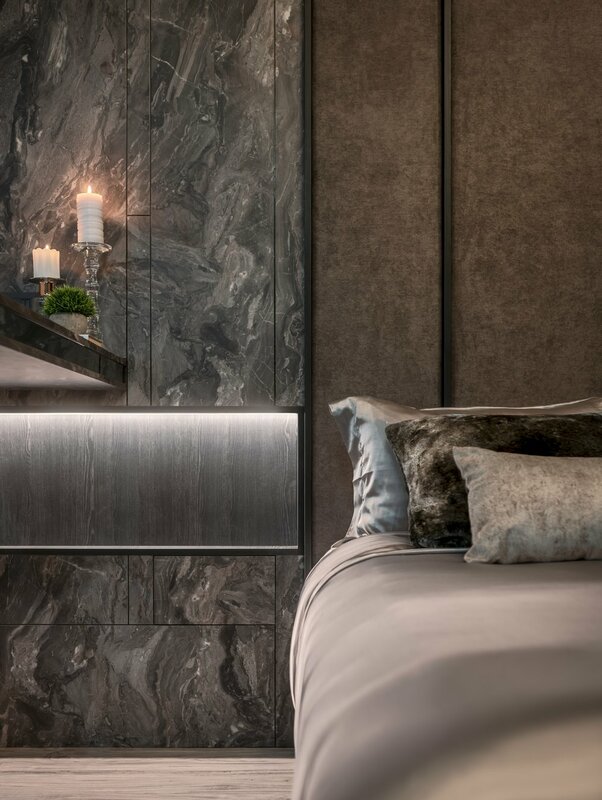 Strong textures of wood and stone exudes the masculine intent when accompanied by the neutral colours. A somewhat minimal setting encompassing straight lines offers a sleek look to pass a sense of modernism for the deserving owner. 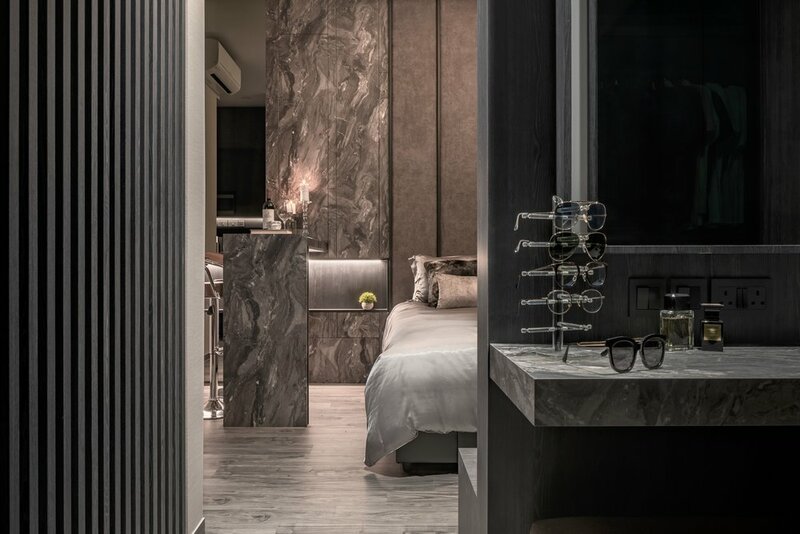 The original bedroom was converted into a boutique styled walk-in wardrobe, now integrated into the entire space as a complete vanity area. A visual treat of space and depth expansion is achieved by using the mirror effect of the sliding wardrobe’s black-tinted glass doors.